Looking for the lowest and best flight prices? 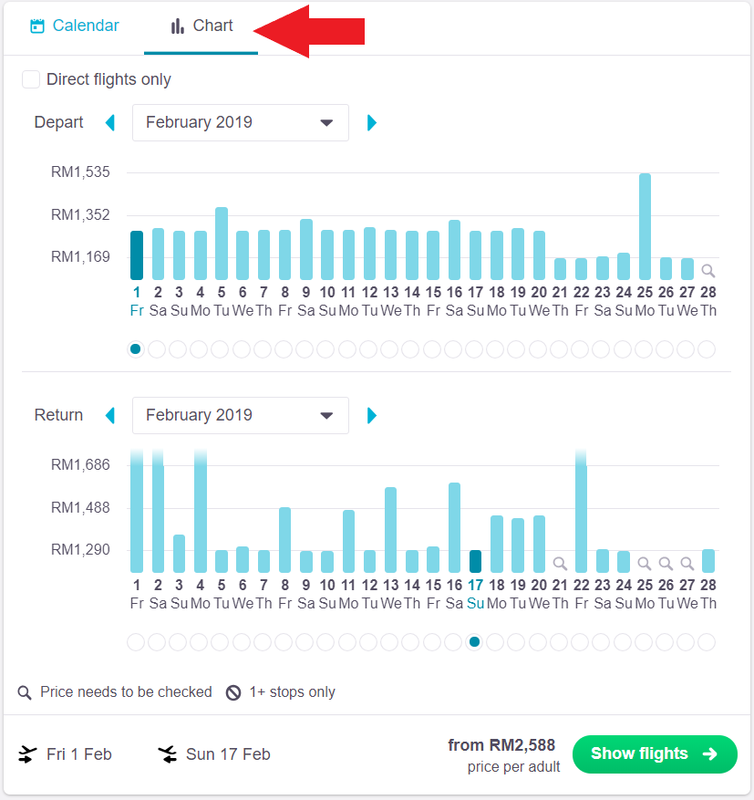 If you do not have your travel dates set in stone, a quick and simple “Whole month” or “Cheapest month” (across the year) search on Skyscanner will help you find the days when flight tickets are at their cheapest. Get started now! Complete the rest of your travel details and hit ‘Search flights’ when you’re done. Search for the cheapest flight price to your dream destination with this hack! 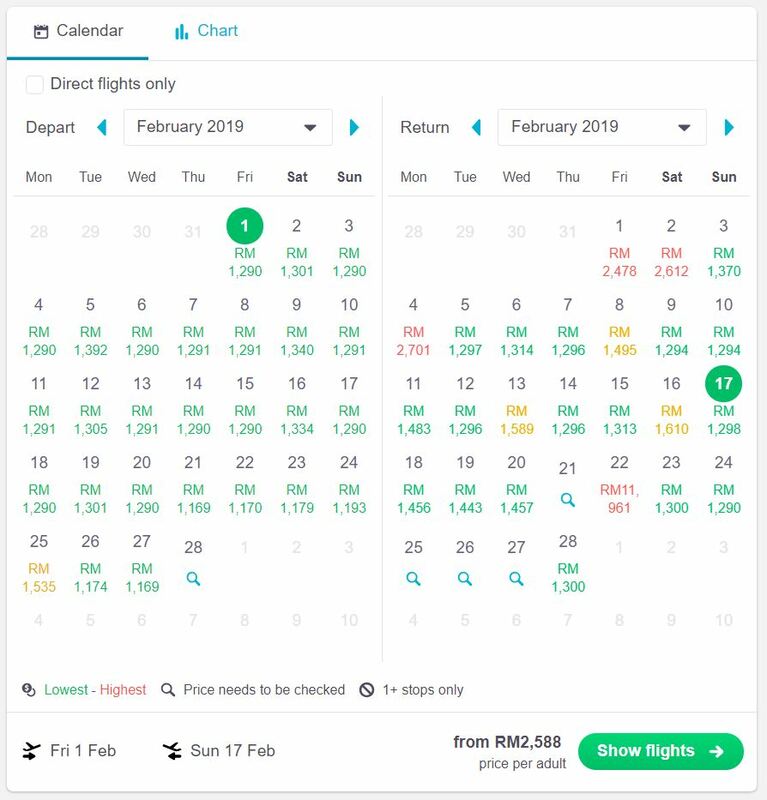 Skyscanner will then search all flights and display the search results in the form of a colour-coded calendar for easy comparison. Prices in green indicate lower one-way prices while red shows the more expensive dates to fly on that route in the month. You can also view the prices in the form of a bar chart by clicking on the ‘Chart’ tab next to the ‘Calendar’ tab at the top. Amazing, isn’t it? So what are you waiting for? Plan your next vacation using Skyscanner’s search and comparison tools to book cheap flights, hotels and car rental. And don’t forget to download our mobile app to make your travel plans on the go. How to save more money on your next flight? Do browser cookies increase flight prices? Any prices shown are prices at the time of publication and are subject to change and/or availability.